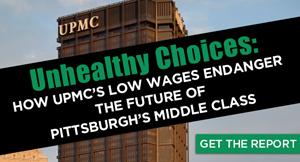 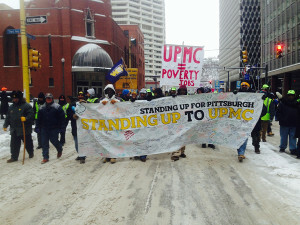 Nearly 2,000 people joined with UPMC workers on a frigid morning March 3 and March 4 in what became the largest protest in Pittsburgh in 20 years to demand that UPMC provide better jobs for a strong middle class in Pittsburgh. 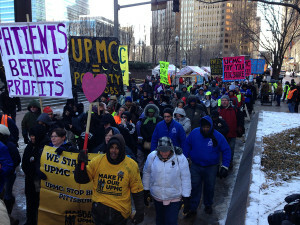 The gathering brought three basic demands to UPMC and together their voices were heard loud and clear: UPMC, the region’s largest employer, needs to pay workers a minimum of $15 an hour, to erase UPMC worker medical debt and let workers form a union at the hospital system without retaliation or intimidation. 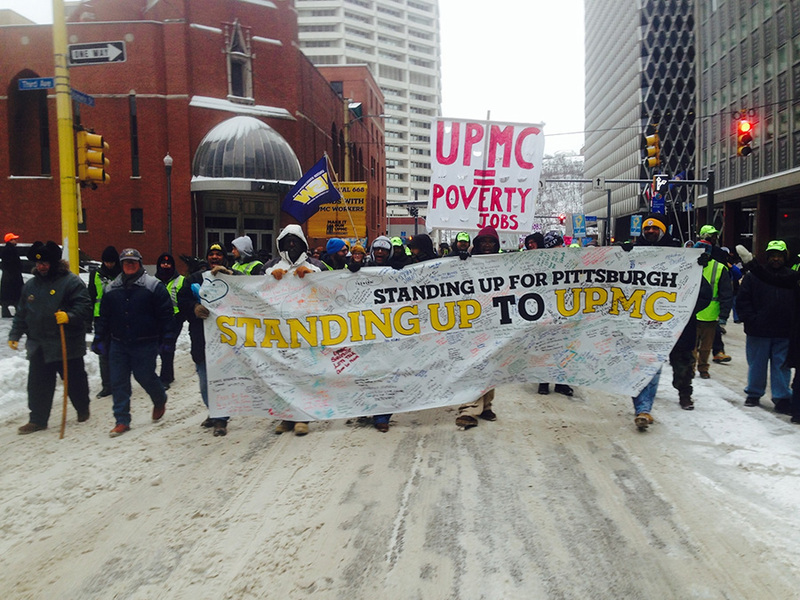 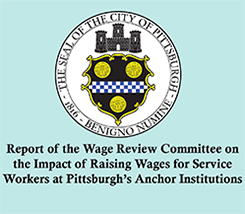 After two days of taking over the streets of downtown Pittsburgh and sitting down in protest at the front doors of UPMC headquarters, Mayor Bill Peduto heard us and UPMC heard us. The day after the mass protest, the mayor met with UPMC CEO Jeffrey Romoff.